There are two ways to get somebody to do something. Your reason, and their reason. If you are depending on your reasons, you’re going to be limited. As harsh as it sounds, nobody likes your ideas and your reasons as much as you do. 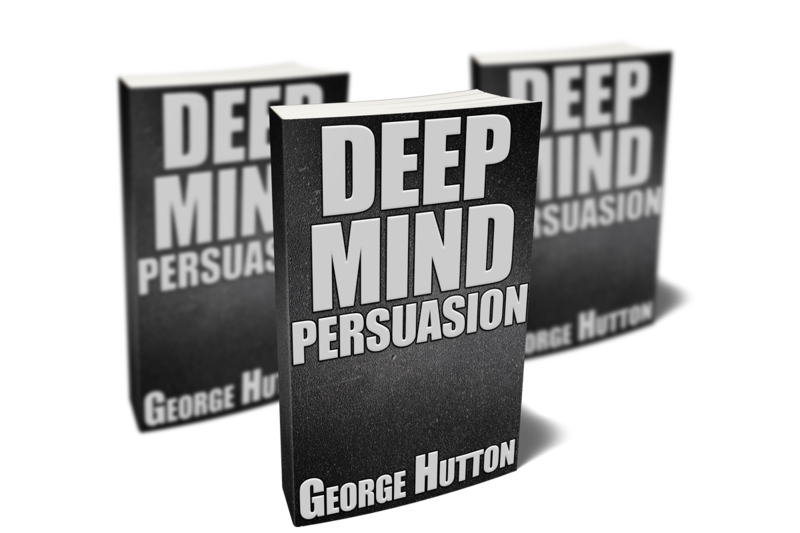 The whole purpose of covert persuasion is to speak in purposely vague patterns so they fill in the blanks with their ideas. So when they finally decide to take your advice, it’s for their reasons. This is Dale Carnegie’s golden rule of influence. That you can get anybody to do anything so long as they believe it was their idea. This is the whole purpose of advertising. To create interesting sales letters, commercials and ad campaigns to convince buyers to buy things for their reasons. If you are selling things, products or services, this is pretty easy. Ask them enough questions about why they want what they want. Get them thinking positive thoughts about why they want what they want. Then show them how your product or service is a perfect fit. So, what are you looking for in a boyfriend? Most of us don’t sell for a living. And if you do, we rarely have warm customers walking into our shop that are eager to talk about what they are interested in buying. Cold sales, non-typical persuasion (friend, family members, romantic partners, job interviews etc.) we need another strategy. It’s a common idea that we have tons of data hitting our senses, but only a tiny fraction makes it to our conscious minds. This is not done randomly or haphazardly. There is a set of rules we use to filter the important stuff from all the other junk. And you’d get that cool feeling. You’d bend over, pick it up, maybe look around to make sure nobody saw you, and quickly put it in your pocket. They’ve also found that most of us will do the same thing when we hear our name over a crowded room. This is often referred to as the Cocktail Party effect. But beyond these content level filters, we also have a bunch of structural filters. This are our own way of sorting through data. Because these are based on structure, and not content, nobody really notices these. But if you know these structural preferences, this will give you an incredible amount of power. It’s like having X-ray vision into their brain. Like reading the mind of your friend and knowing they what they want. You can take any content idea and wrap it around these structural filters, and it will sound pleasant, familiar and desirable. Without knowing your preferences, or theirs, you are only playing the odds. Even if you are certain that they’ll go for your idea, if you get any of these wrong, it won’t sound quite right. They’ll have a slightly uncomfortable feeling about what you are suggesting. But when you understand what these structural preferences are, and you present any idea in their terms, most anything will sound comfortable. Familiar. Desirable. Even if you just met them. Because these operate subconsciously, you can easily elicit them without them knowing what you are doing. They’ll even enjoy the process. You can secretly figure them out for all your friends, family and coworkers. When it comes time to make suggestions, they’ll readily go along with you. Even if you never want to persuade anybody, understanding these seven structures will give you endless things to talk about. You’ll never have to worry about what to say. You’ll never run into those uncomfortable silences. Even better, once you start asking some very easy to answer questions based on these structures, they will feel a deep connection to you. A connection so deep they’ll never forget you. You’ll be talking to them about such deep and profound topics, they’ll put you in a completely separate category in their mind. Not only will you be asking them questions nobody has ever asked them before, but you will learn a technique that won’t even require they do any talking. You’ll simply be going through a series of easy options. This or that one. And through these options, you will find out deeply profound things about them. They will find out deeply profound things about themselves. You’ll learn powerful techniques to get them thinking about their biggest dreams of the future. With very little brainpower required from them, you can take them as far into their future as you like. All the while secretly eliciting their preferred structural filters. Once you learn about their filters, everything you suggest, so long as it’s put in those terms, will sound familiar and desirable. You can use these techniques in any conversation you find yourself in. Nobody will ever feel on the spot. Once you get your mind around the process, you can use these techniques on anybody, anywhere, any time. After a few minutes of conversation with you, they’ll know much more about themselves. They’ll have a much better idea of their dreams and fantasies. You will have taken them to such a profound level of deep awareness and positive desire, they’ll be eager to do whatever you want. These techniques are so powerful, you can help them create a fantasy future hallucination that doesn’t require that they even talk. You ask the questions, and present the choices. With each series of easy choices, their future fantasy hallucination will get brighter and clearer. The best part is while you are doing this, whatever positive ideas you are eliciting and helping them build (and also eliciting their structural preferences) they will subconsciously associate those deep future fantasies with you. If you sell things, you’ll make a lot more money. You’ll close a higher percentage of clients. You’ll get more repeat business. Whatever product or service you are selling. However you are selling it. Any hiring manager will be desperate to keep you after only a few minutes. Flip the script and start asking him or her some easy to answer questions, and name your price. They’ll beg you to work for them. Parties, social events, and other gatherings will take on a new meaning. You will always be the center of attention. Everybody, friends and strangers will be eager to be lucky enough to speak with you. Break the ice, start asking some simple questions, and never look back. The deeper you go, the more attracted to you they’ll be. This is, hands down, the easiest romance generation strategy you’ll ever find. You can use these strategies and techniques to enhance any relationship. Spouses, brothers, sisters, fathers, mothers, children. They’ll all be enhanced by asking a simple series of easy to answer questions. These simple techniques will help you build an unbreakable bond that will last a lifetime.